“Three are the options currently under examination in order to realize a new LNG depot in the port of Genoa, useful also for bunkering ships: the so-called ex-Ilva area in Cornigliano, the liquid bulk terminal of Porto Petroli in Multedo or on the breakwater either in the old port or in the Voltri-Pra basin”. 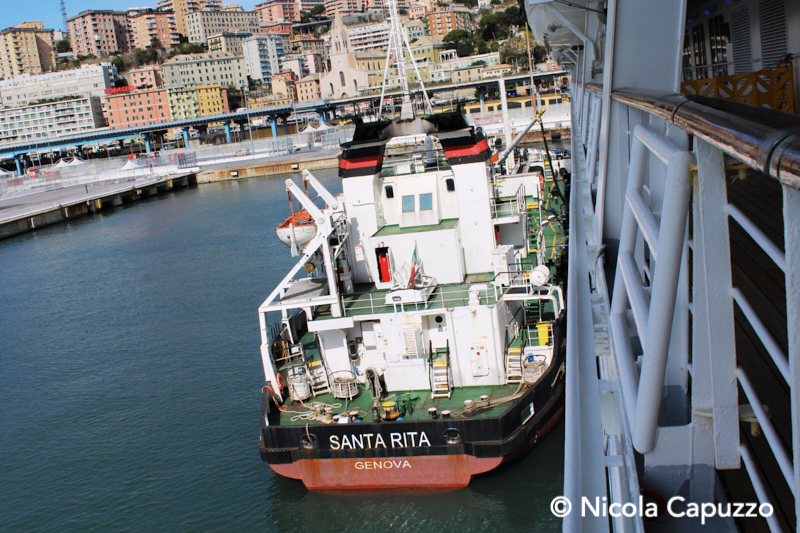 That is what Paolo Emilio Signorini, chairman of the local port authority, said to Ferry Shipping News in the occasion of the first ‘coming back home’ call of a Costa ship in Genoa in 15 years. Signorini also pointed out that “there are some hurdles related to the nearby presence of the airport which impose limits” to the height of the building and depots. “There are no doubts about the interest from the market to build and manage such a new LNG depot since several companies expressed their will to invest on it” the head of the port added. Next November, in the nearby port of Savona (which is managed by the same authority), Costa Cruises will christen Costa Smeralda. She is currently under construction at Meyer Turku. She will be LNG-powered. So far, bunkering is only possible in Barcelona. In the near past also Grandi Navi Veloci and Moby publicly expressed their concerns about the fact that they are obliged to install scrubbers on the new ferries ordered in China due to the lack of LNG available in Genoa.